This week we are delighted to be working with Mothercare for their Car Safety Events. It goes without saying that baby safety should always be the absolute number one priority for parents and carers. What top tips can we give you in the minefield that is car safety information for our little ones? Every child under the age of 12 or less than 135cms needs to sit in a car seat. The Royal Society for Prevention of Accidents (ROSPA) advise that the safest place for babies and children to be seated is in the rear of the car. 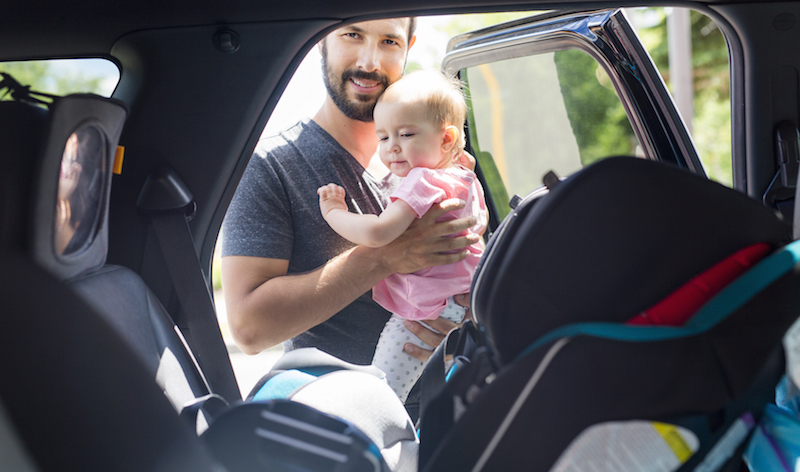 Not every car seat fits in every car – make sure that you check with the manufacturer that the seat will fit in your car. Retailers, like Mothercare, will often have a specialist car seat advisor who will be able to advise you on the right seat for your car. According to the Royal Society for Prevention of Accidents (ROSPA) two thirds of car seats are not fitted correctly! Make sure you are not in that statistic and follow the fitting guidelines to the letter, or ask the retailer to fit the car seat for you. There are 2 ways of fitting car seats, either by using the car seat belt or an ISOFIX system. ISOFIX can only be fitted if the car has ISOFIX anchor points in the vehicle. Babies and children should not wear big coats and snowsuits in their car seat; it can affect how effective the seatbelt is fitted. Once you have your car seat safely fitted, here are some other top safety tips for being out in a car with little ones. Do not feed children in a moving car. If a baby or child were to choke, you would be unable to assist them. Use the child locks on rear car doors as this will keep your child from opening the door but will enable you to open the door from the outside, and crucially, the emergency services to open the car door. Not just to look cute and tell the world you’ve had a baby, ‘Baby on Board’ stickers tell the Emergency services that a small person is travelling in the car if involved in an accident. Keep journeys for newborns up to 4 weeks old, no longer than 30 minutes, and for older babies no longer than 2 hours. Everyone should wear a seat belt. No excuses it’s the law. Carry a first aid kit in the car, perfect for outings and the inevitable bumps and scrapes when out and about. In the first aid kit make sure there are a pair of tough cut scissors. These are strong enough to cut through seat belts if you were ever to become trapped in your car. And drive safely, the roads are icy and wet at the moment, keep yourself and your little ones safe. 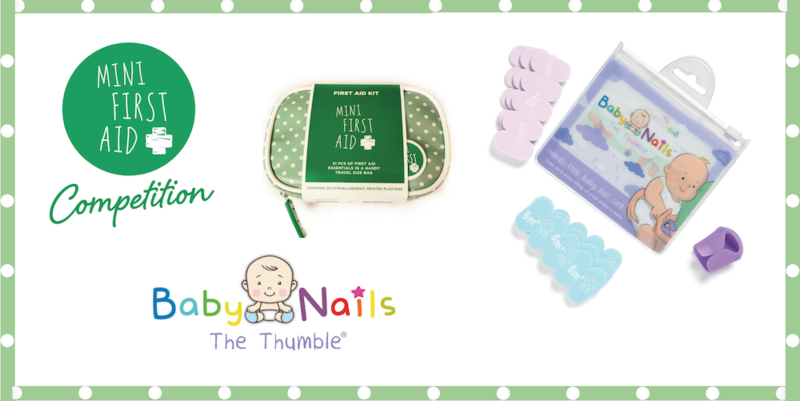 Win a Mini First Aid family first aid kit and a Baby Nails Thumble.